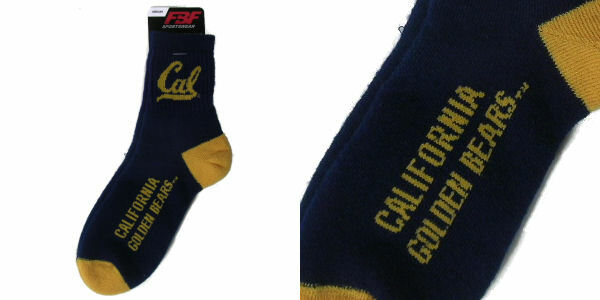 Sock Style #501 : Bancroft Clothing Co. 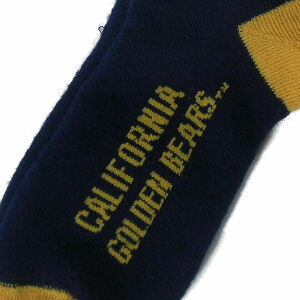 Adult navy/gold, 75/25/% poly/nylon sock with a "Cal, California Golden Bears" logo. 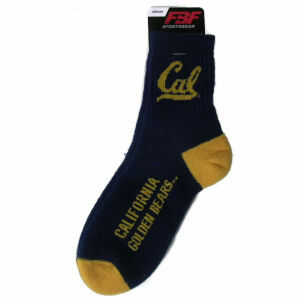 Size medium is temporarily out of stock.